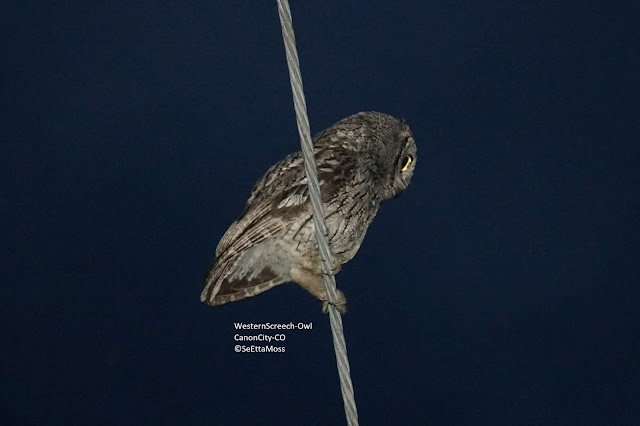 I found these Screech-Owls in a residential section of Canon City just a half mile from me. I was driving home last night right at dark when I spotted 2 little owl shapes like the one in the pic below. I got turned around and got out to watch them and get a couple of pics.